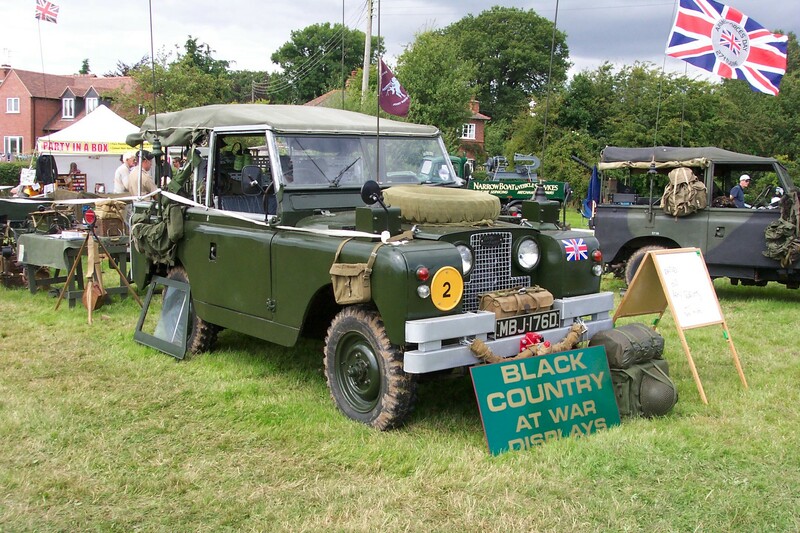 The Wolverhampton Steam Fair and Transport Rally has taken place for a number of years now on the first weekend in June and includes a cavalcade of vehicles through the city centre on Saturday luchtime. 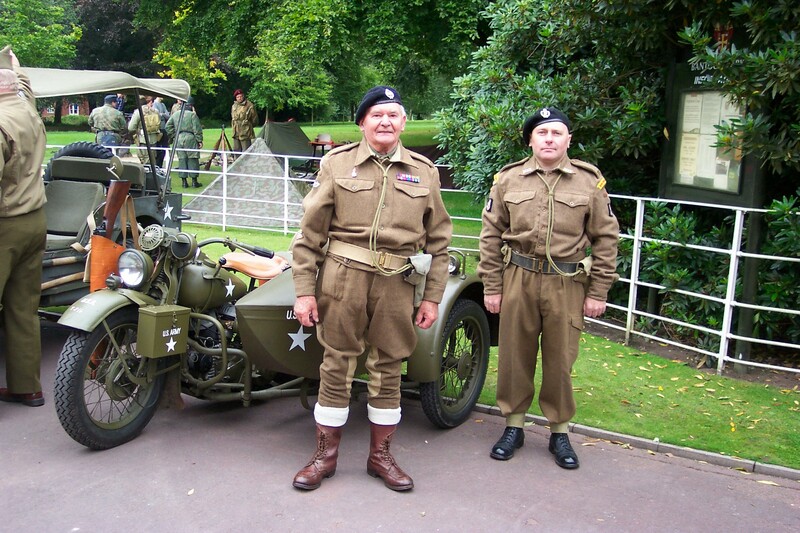 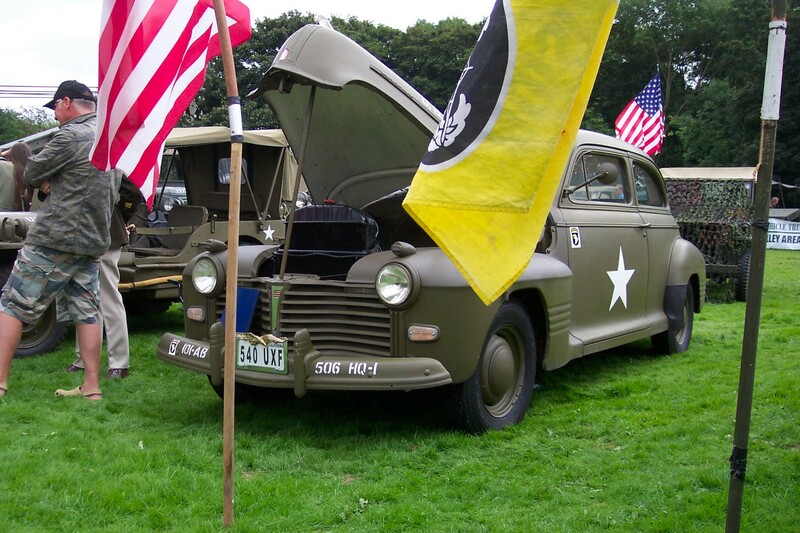 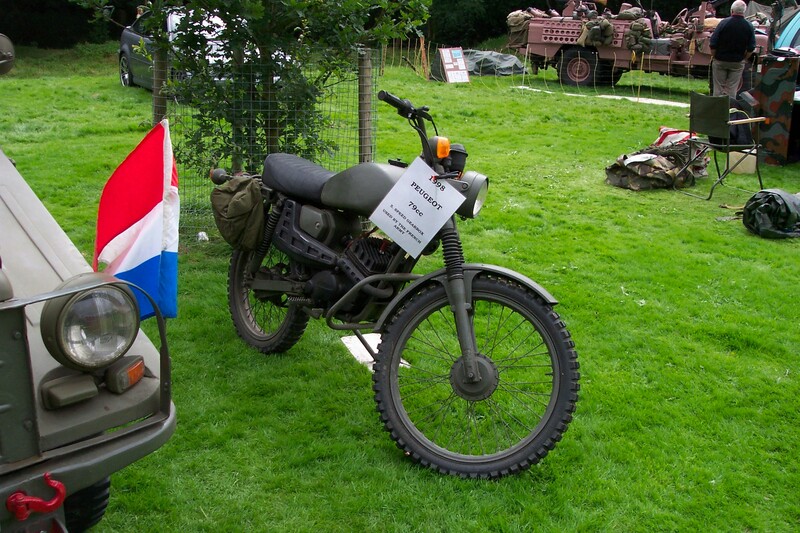 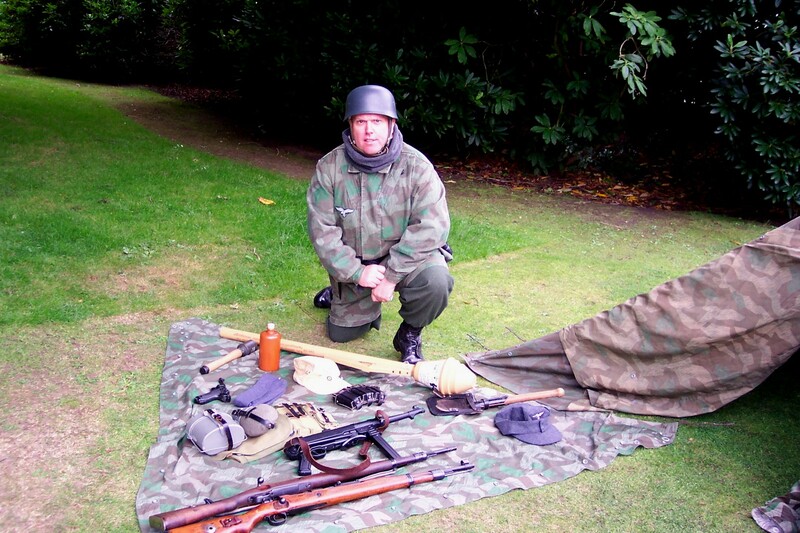 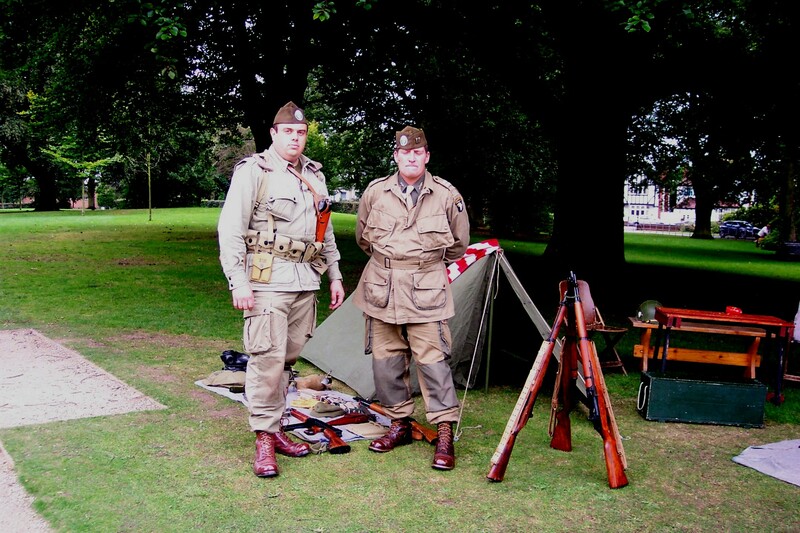 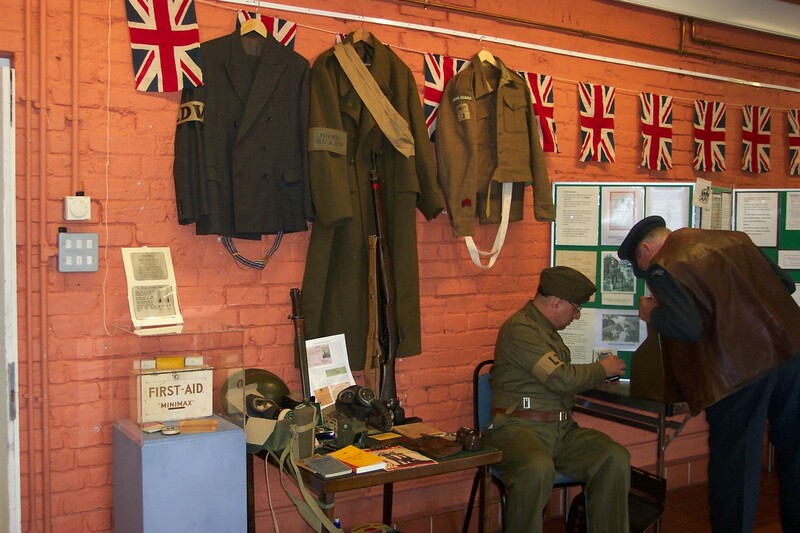 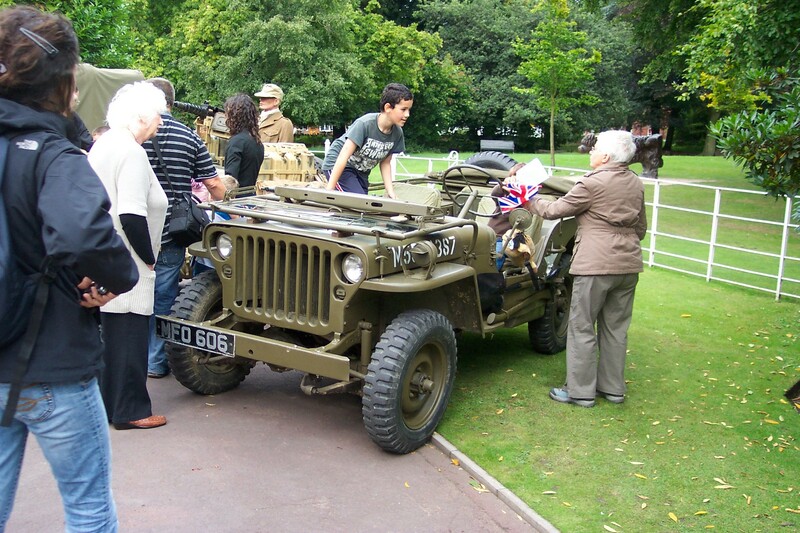 Held in West Park in the centre of the city, it normally has a nice selection of military vehicles, steam engines and traction engines, classic cars and bikes etc. 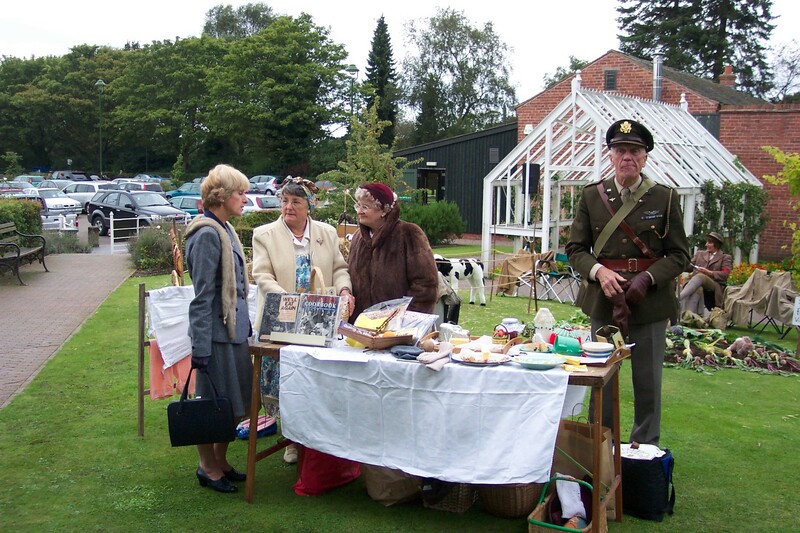 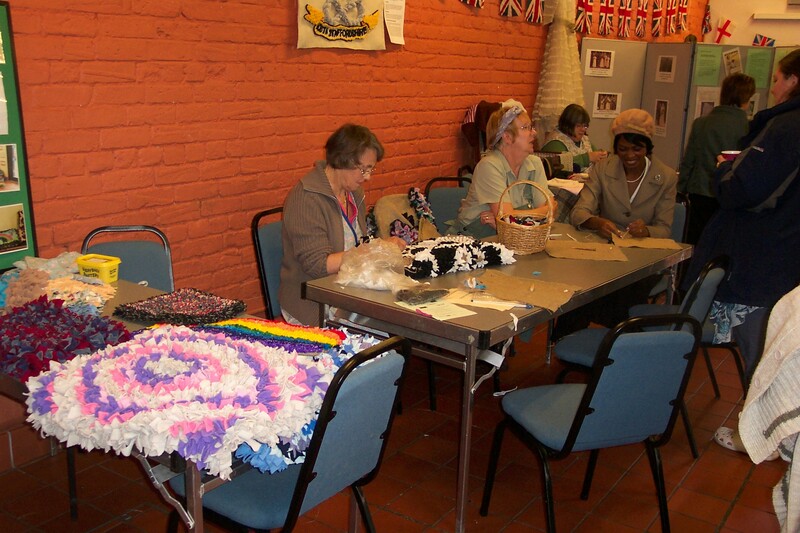 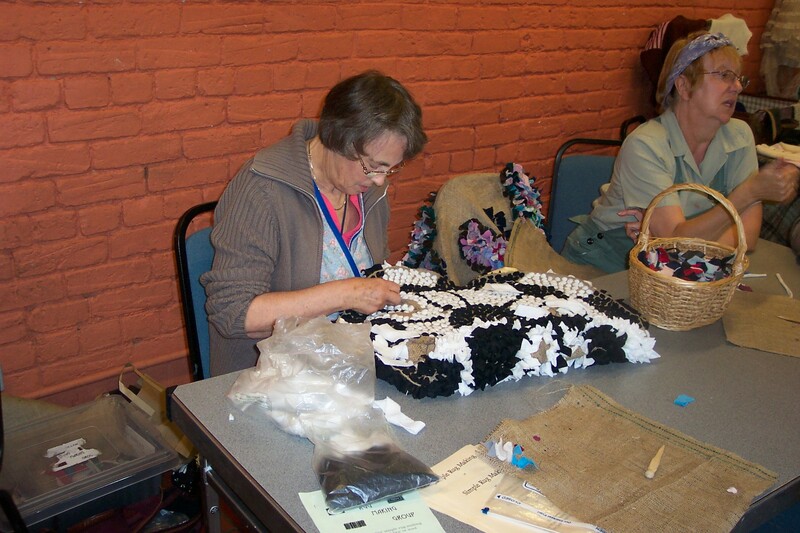 Last year had glorious sunshine with a huge turnout of people enjoying themselves. 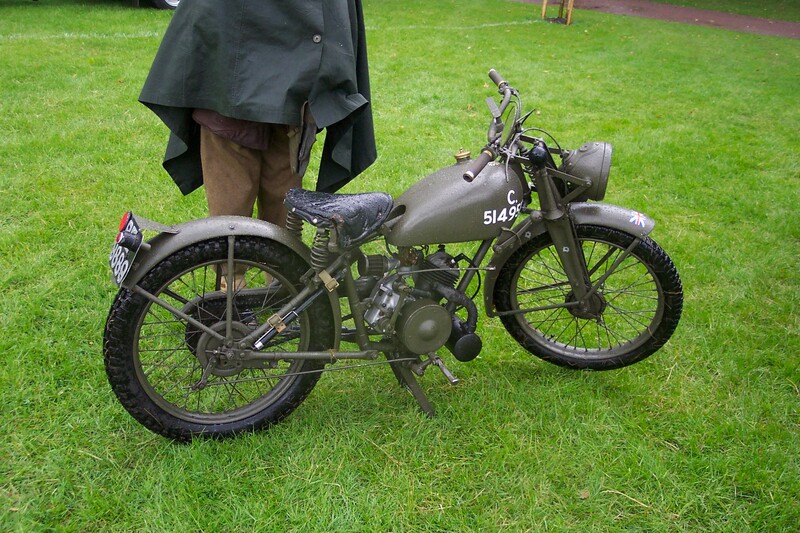 However, this year wasn’t so good, with a constant steady downpour of rain. 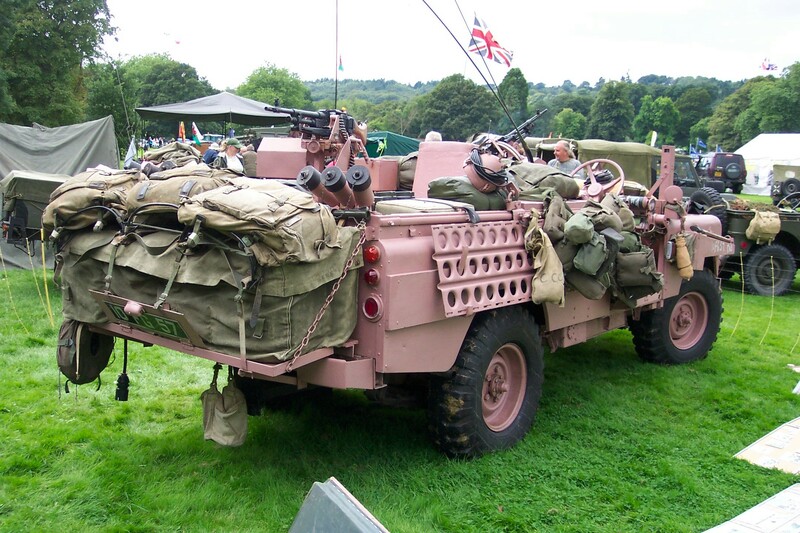 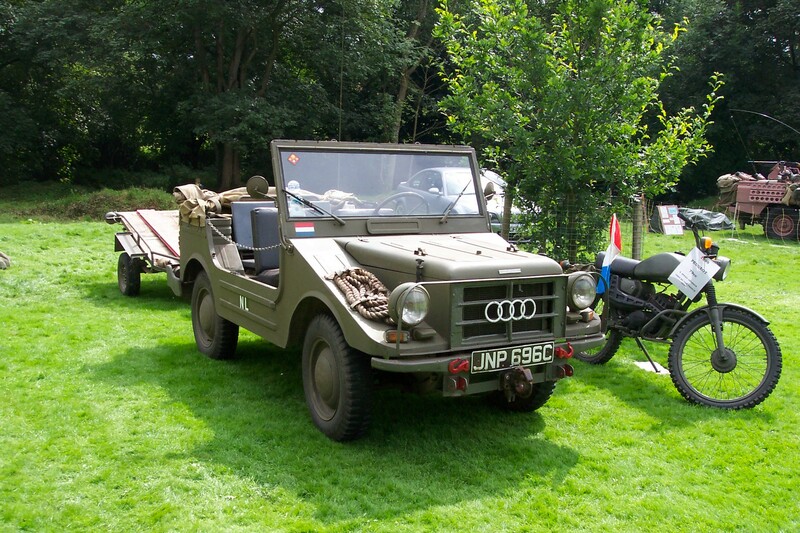 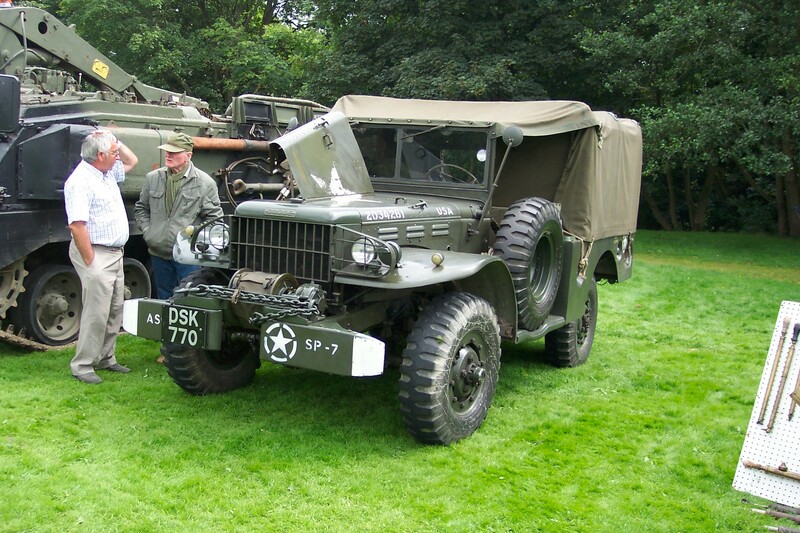 This year, the show’s first day was on June 6th, the 65th Anniversary of the D-Day landings in Normandy in World War, where many military vehicle owners and historians were ‘over there’ taking part in the many commemorations that were taking place to mark the event. 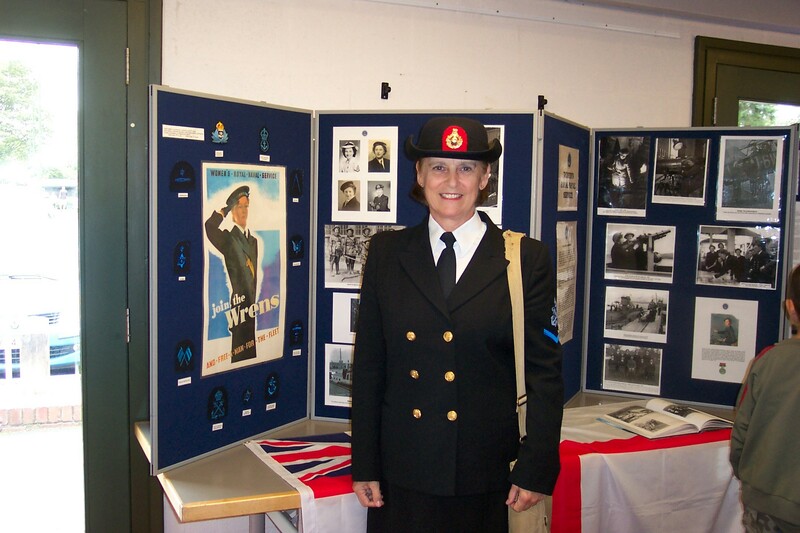 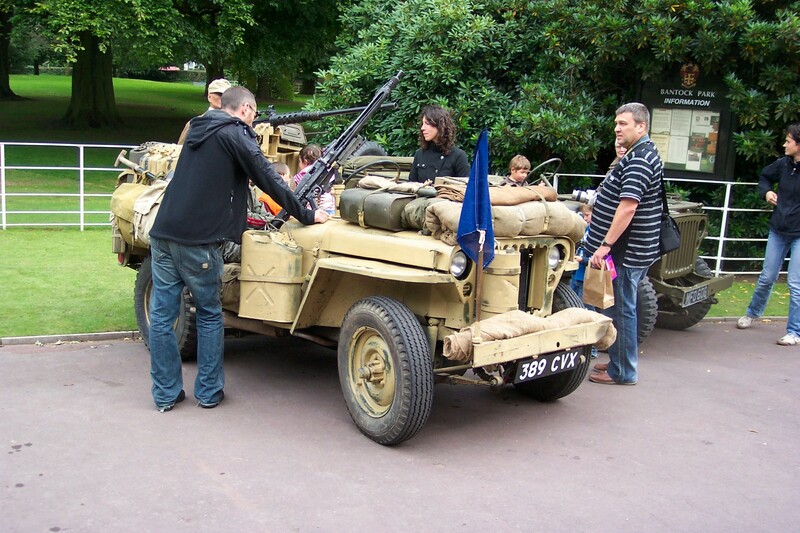 Many of the public were put off attending the show as well, due the weather, which was a shame. 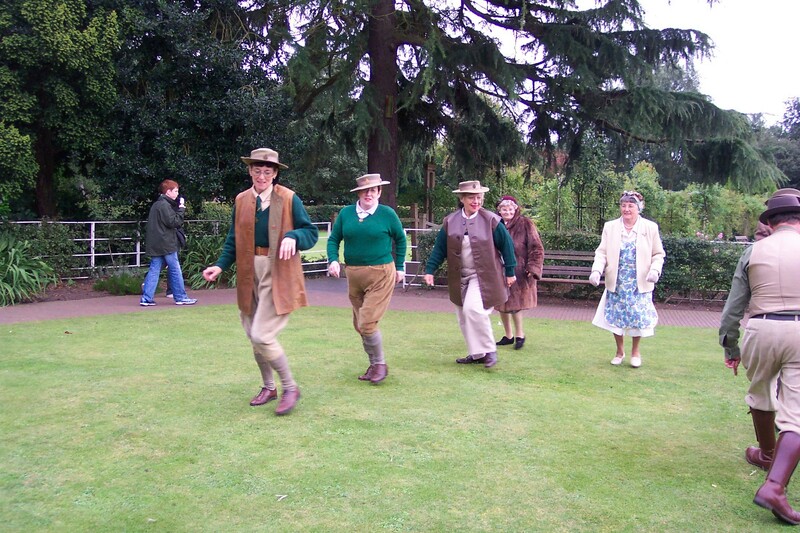 Despite this, Miliblog donned their raincoat and cap and ventured out to seek out green machines. 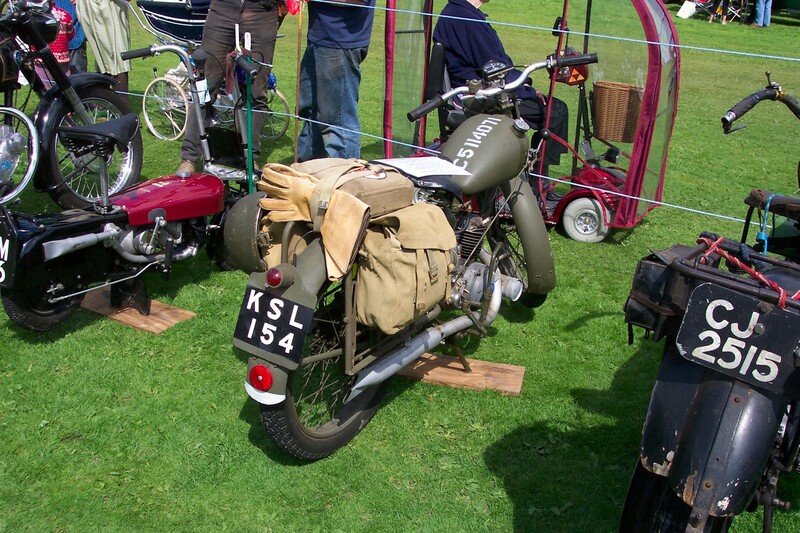 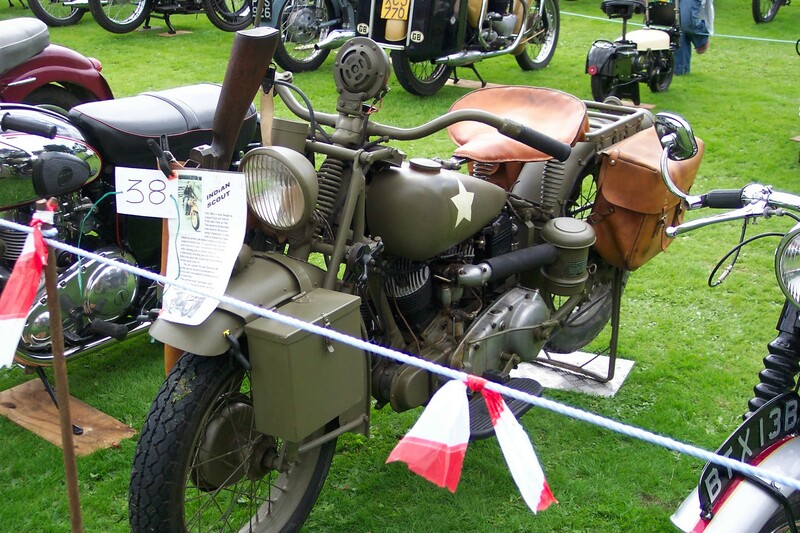 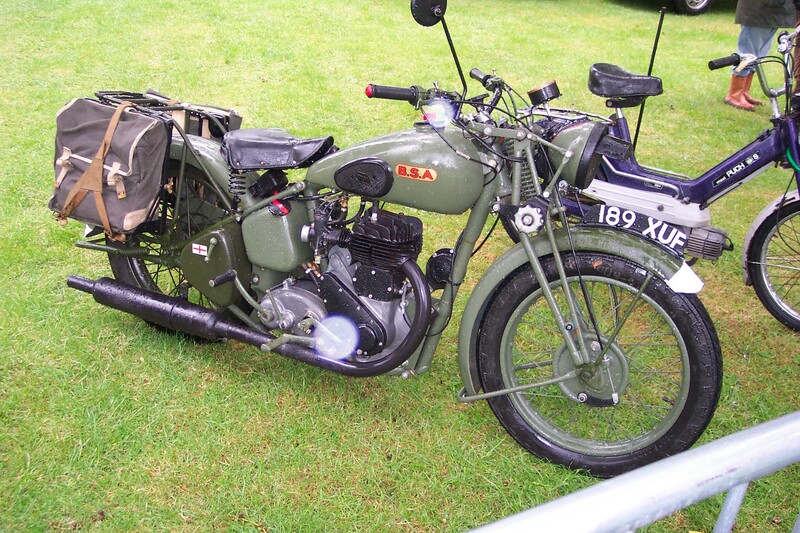 First we met Davis Spruce who amongst other things, had two military motorcycles on display, a BSA M20 and a Matchless G3. 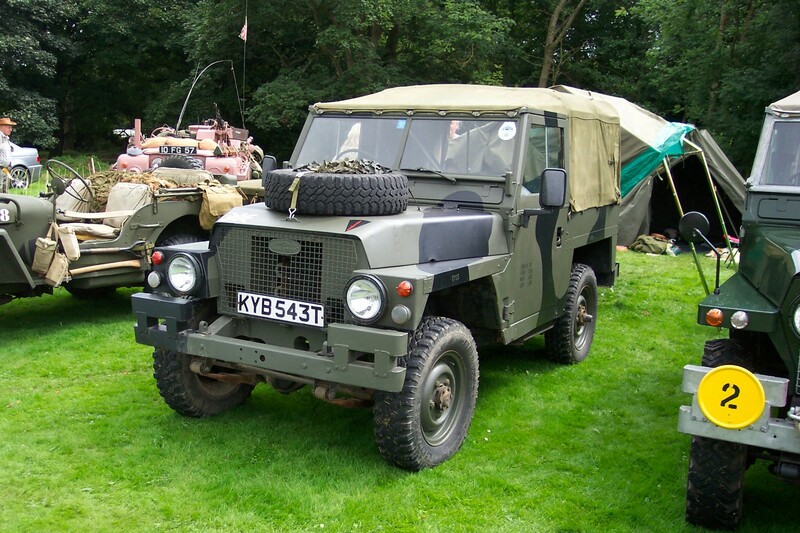 Both in lovely condition, I know if they’d been mine I wouldn’t have wanted to get them wet ! 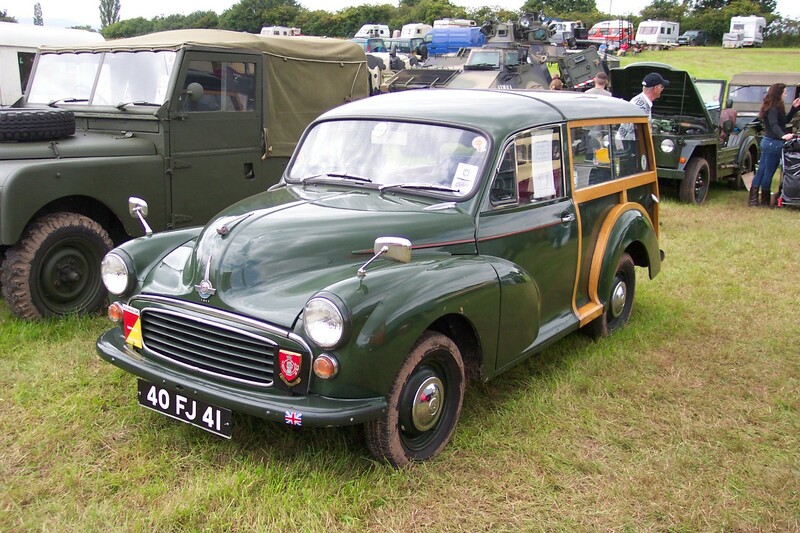 Chatting to David, he mentioned his superb Austin K5 3 tonner was also on display. 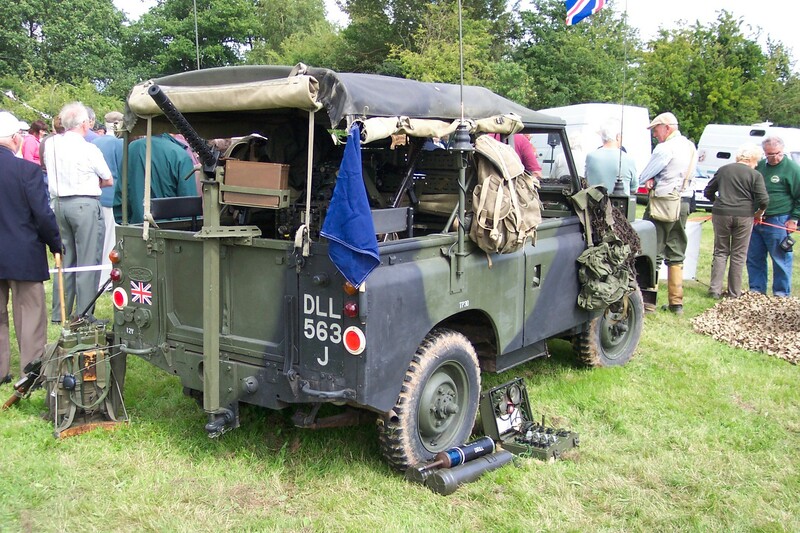 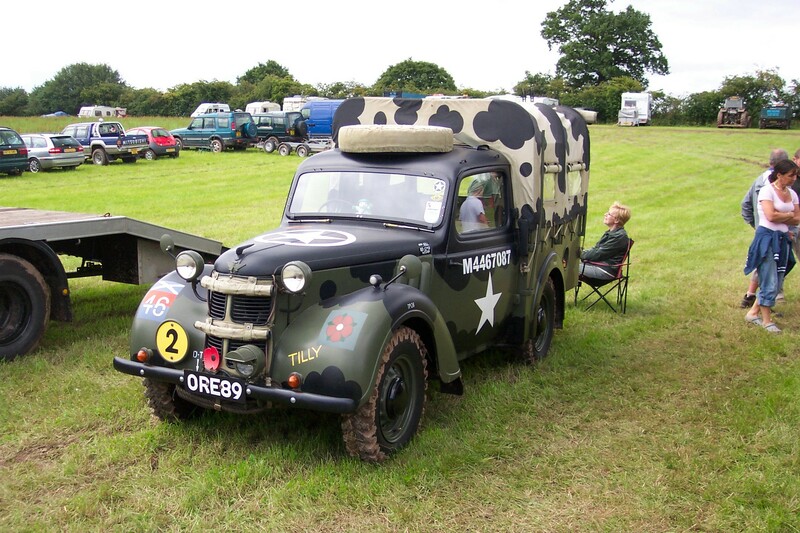 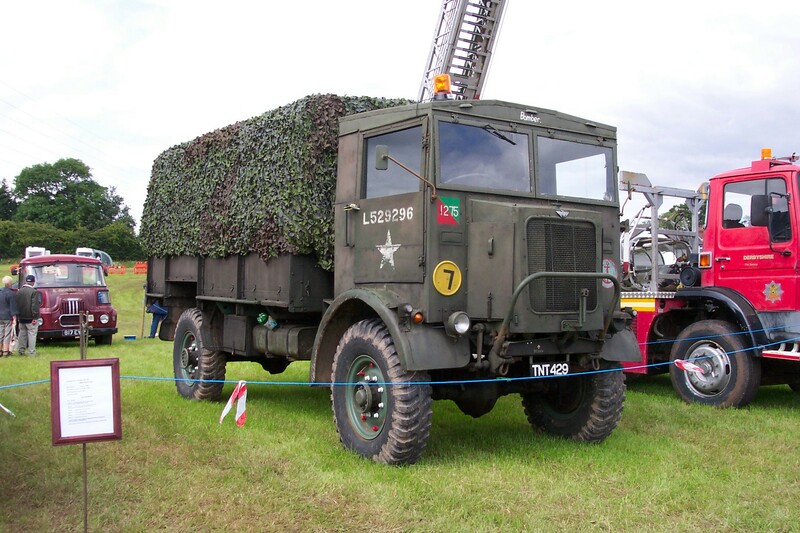 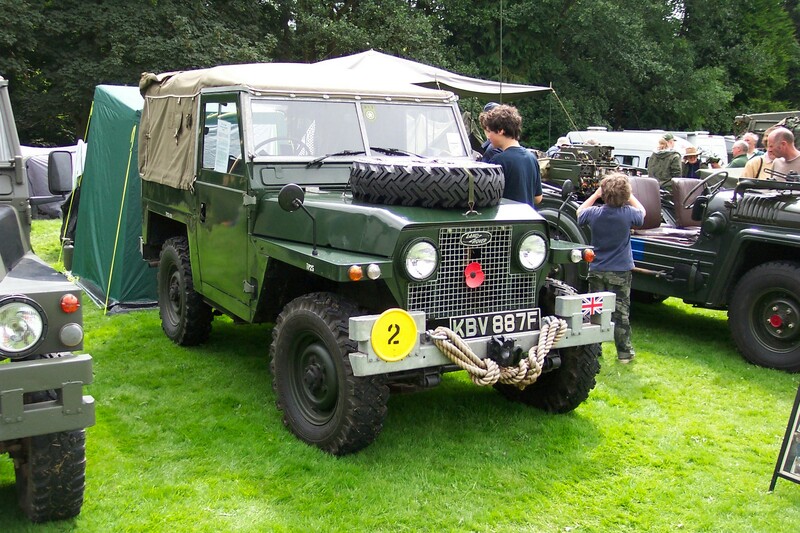 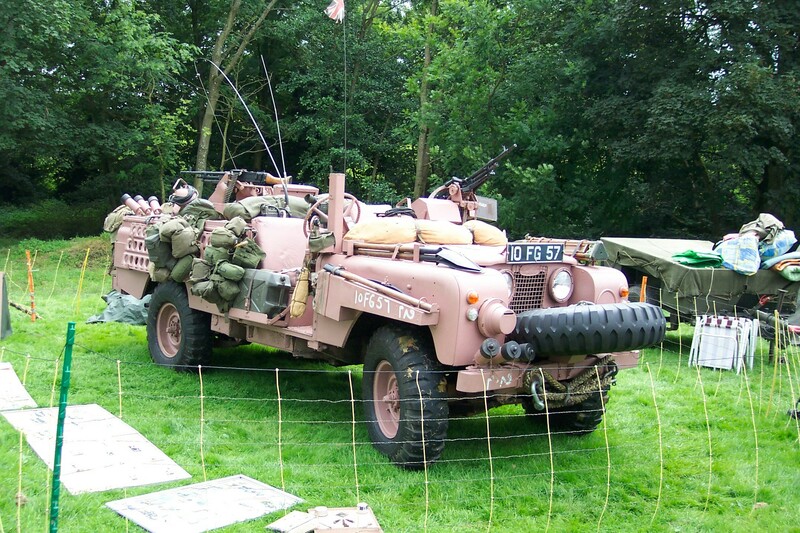 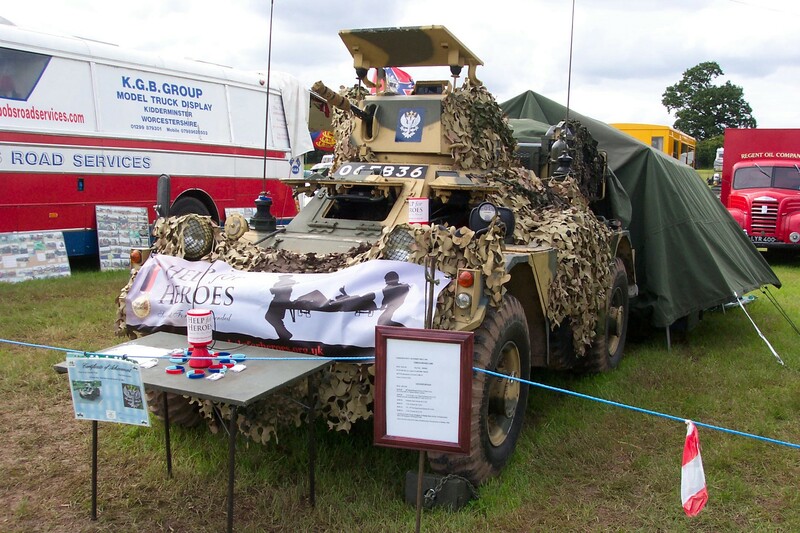 Last year I visited the show on both days just to look and drool over this lovely classic British wartime truck. 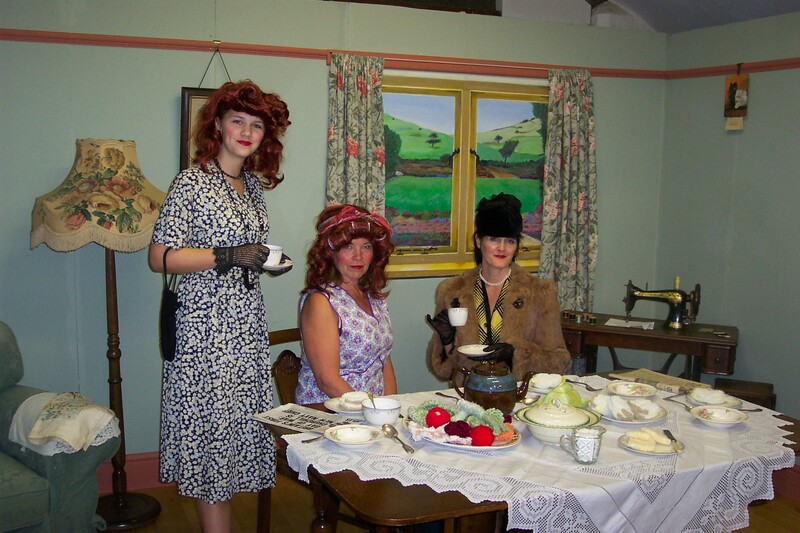 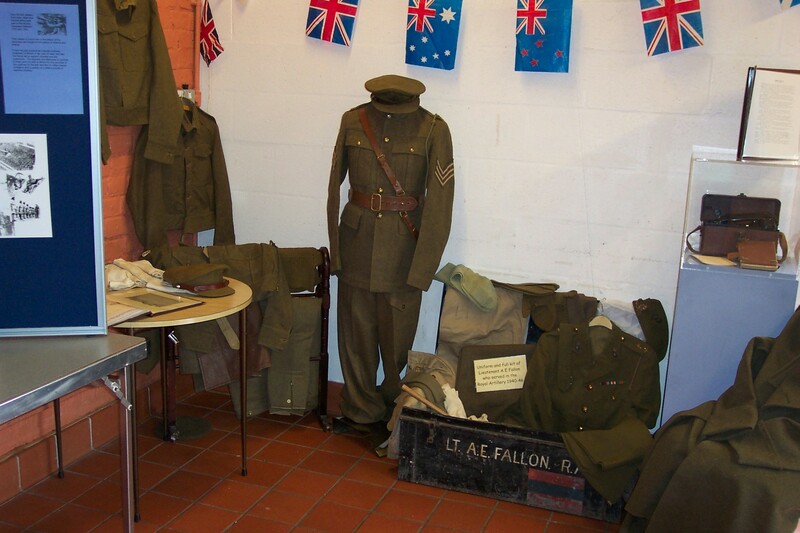 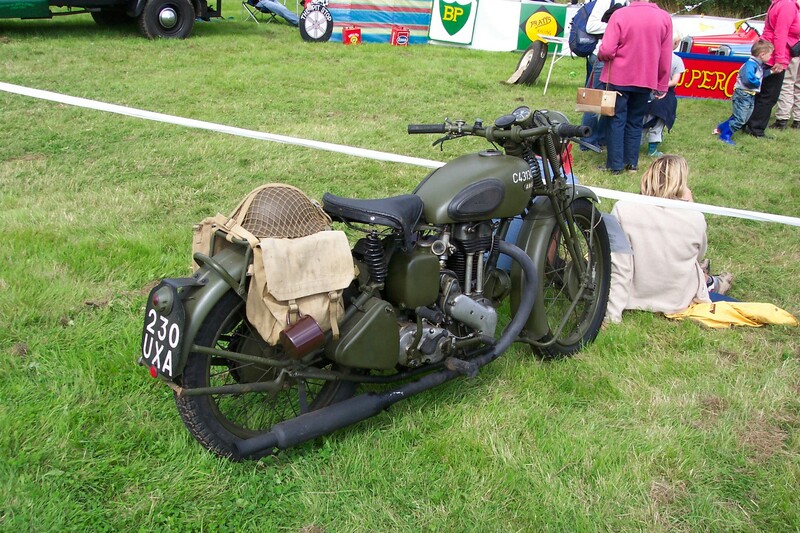 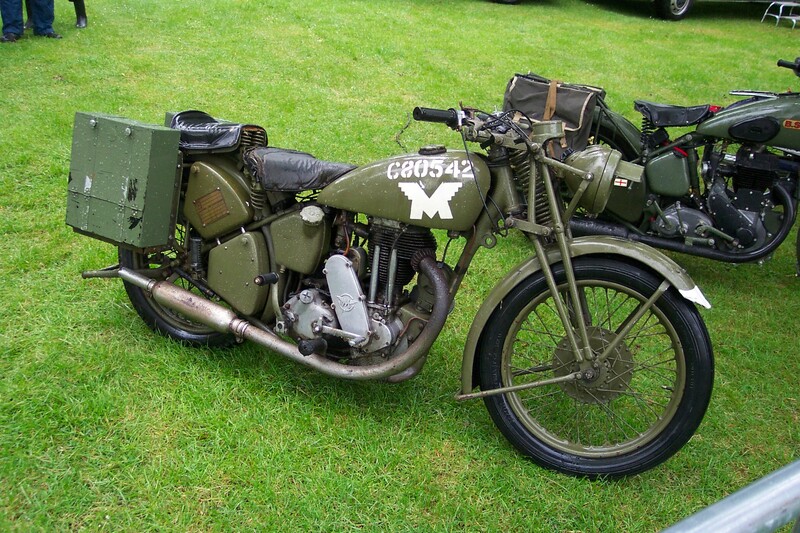 It has a certain smell that captures the whole character of the era of British wartime stuff. 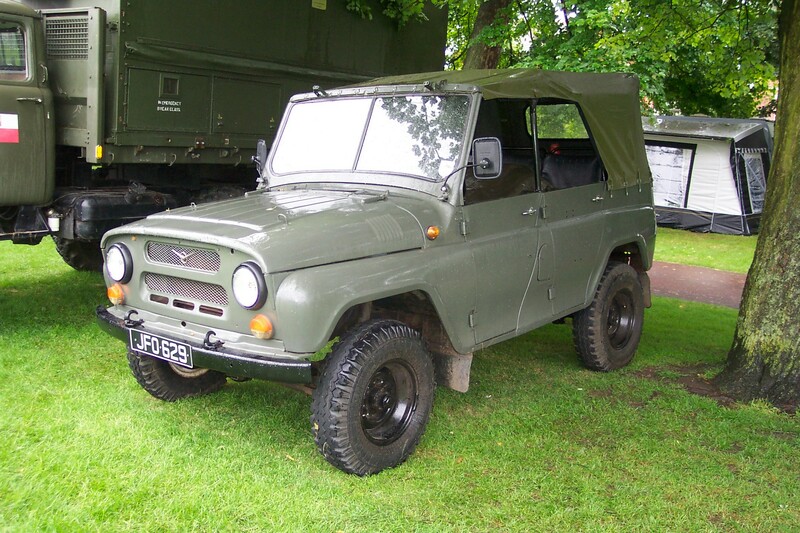 It had originally been advertised on ebay, I remember seeing it at the time, and David and a colleague had bought it between them. 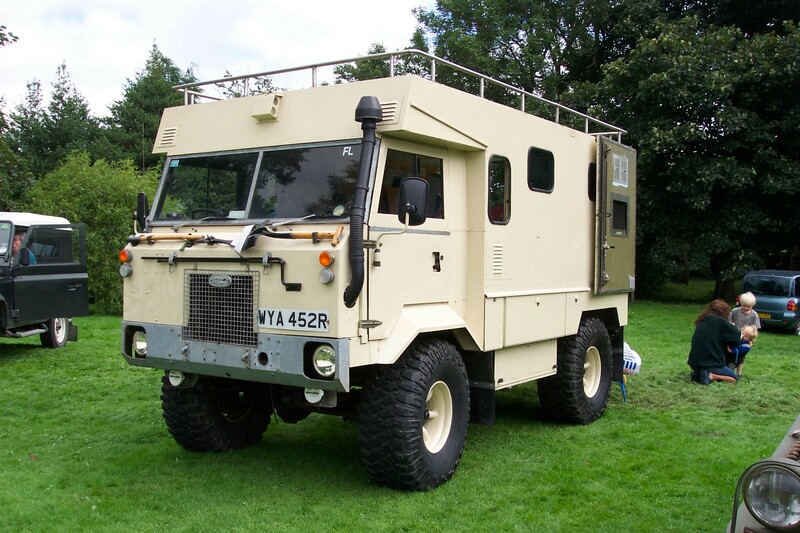 David hinted he might know of another K5 to add to their collection soon !!! 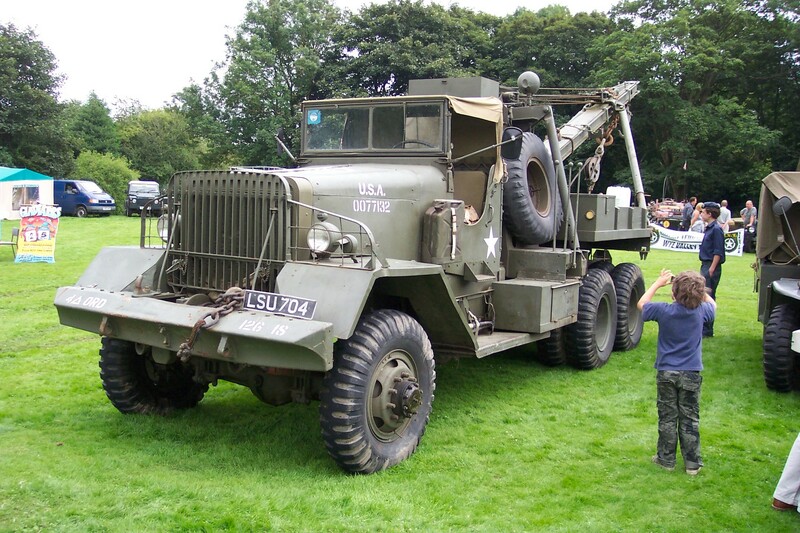 Phil Palmer was also in attendance with his lovely Dodge WC-51 Waepons Carrier in US Navy colours along with his Hippo 10Ton looking superb as ever. 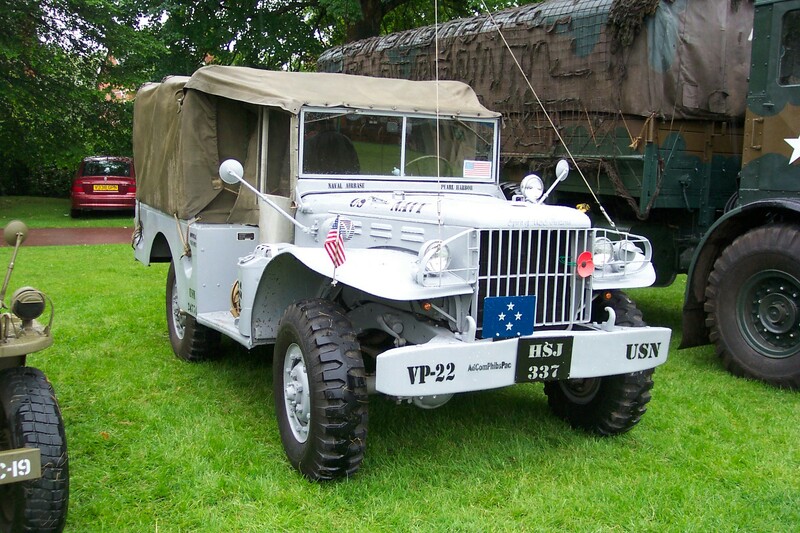 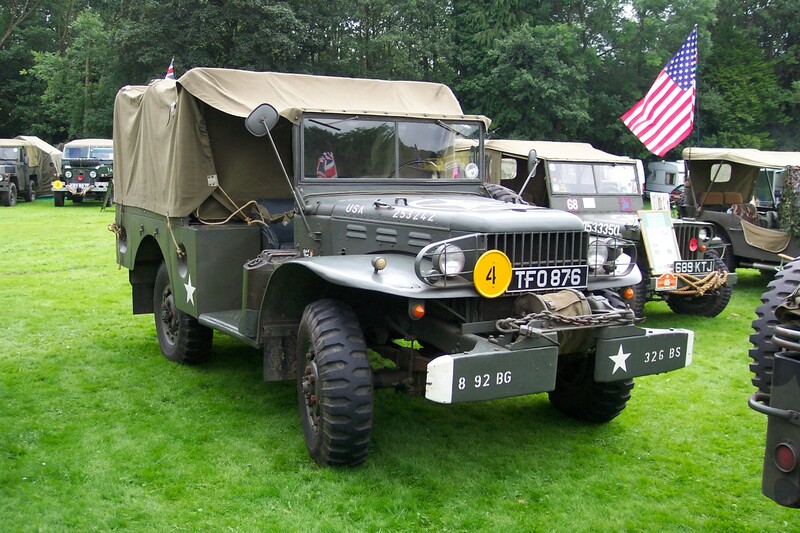 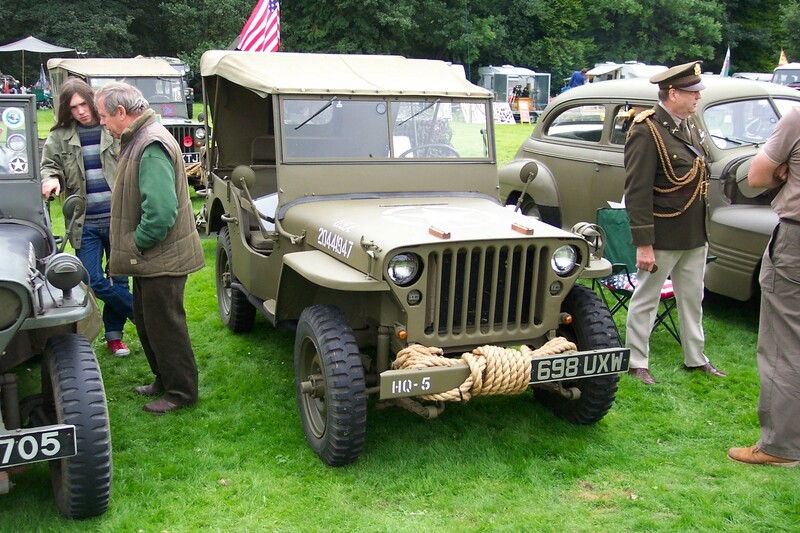 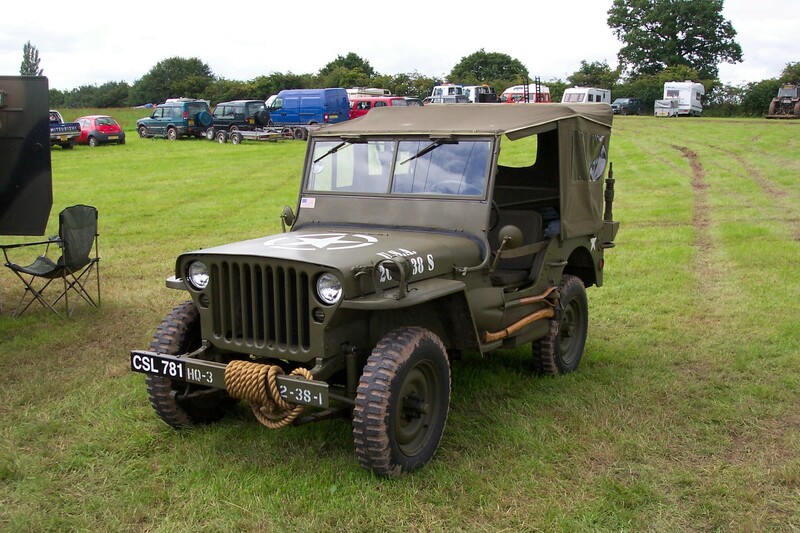 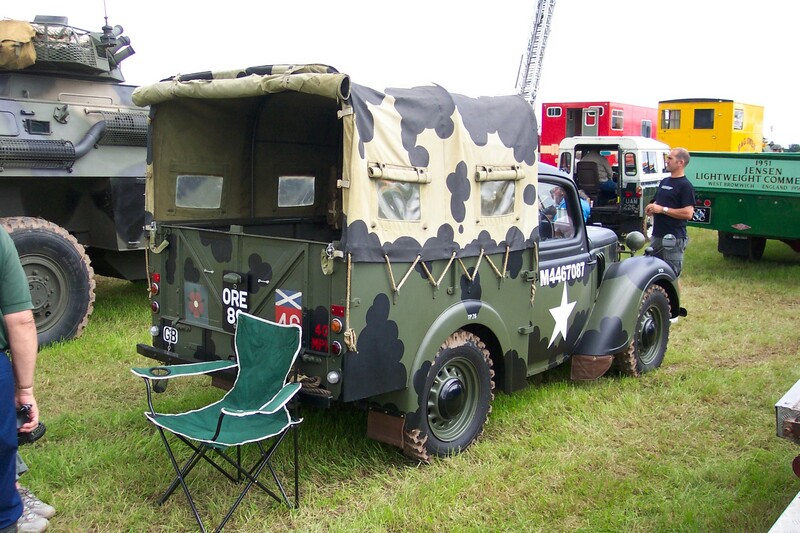 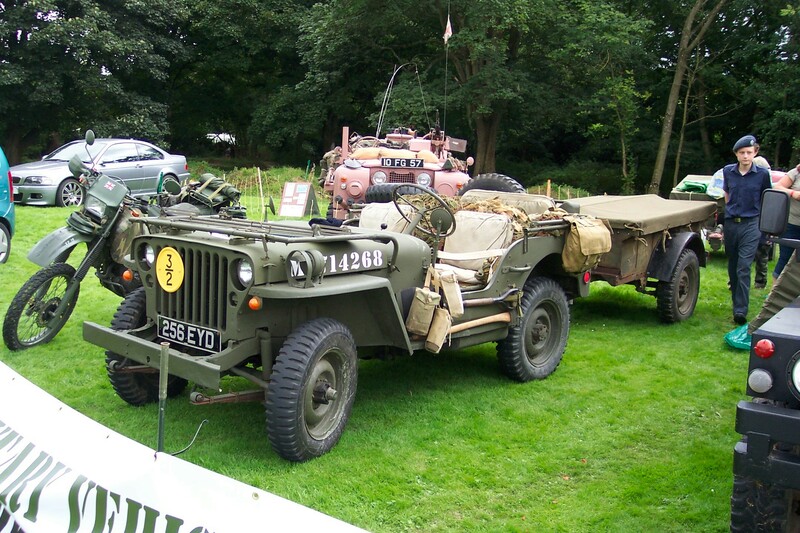 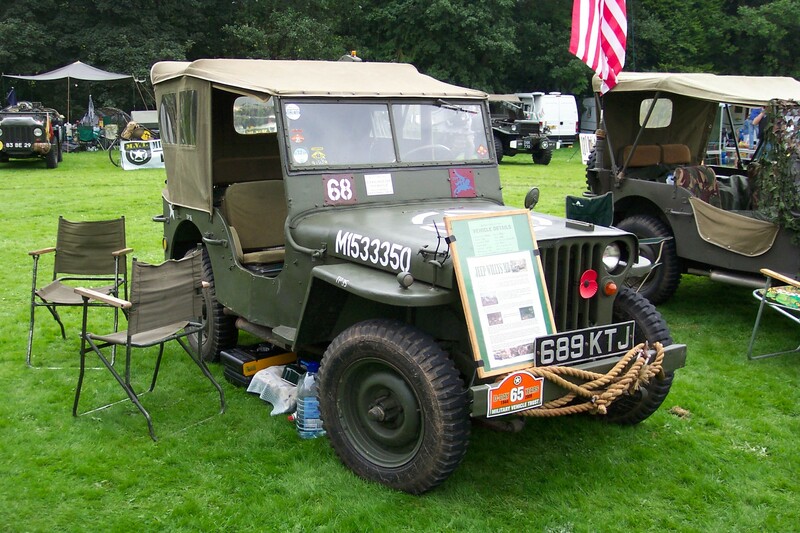 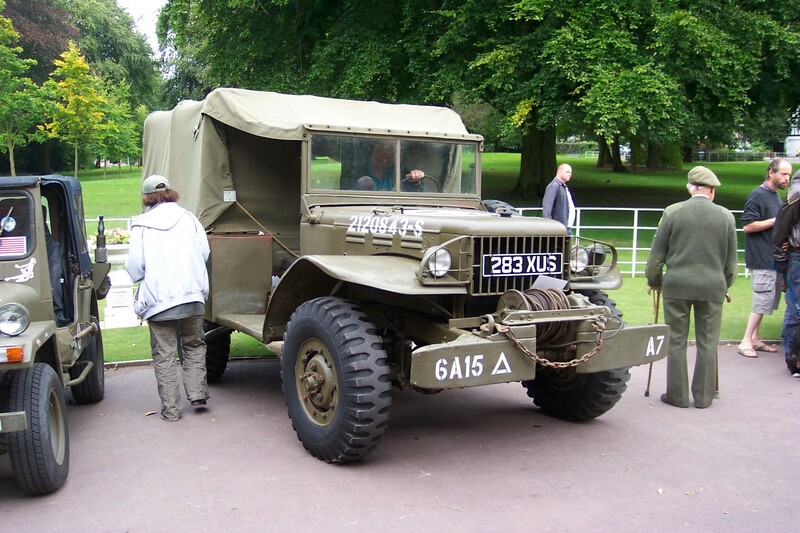 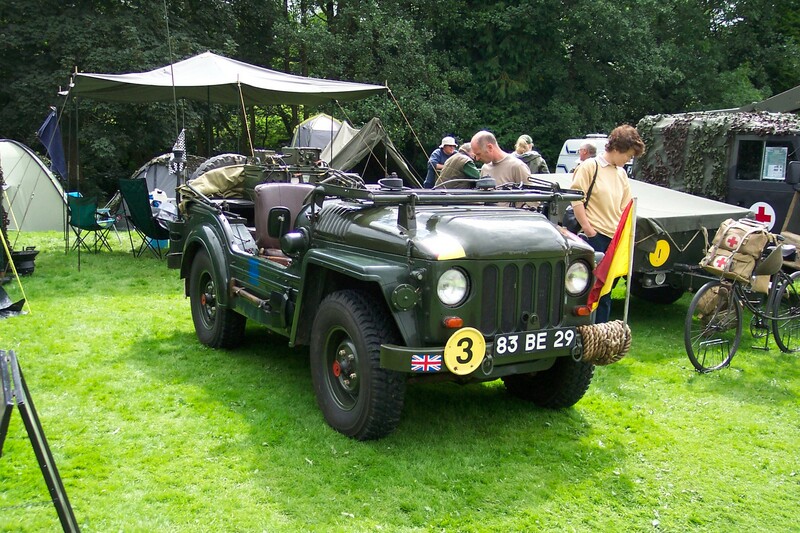 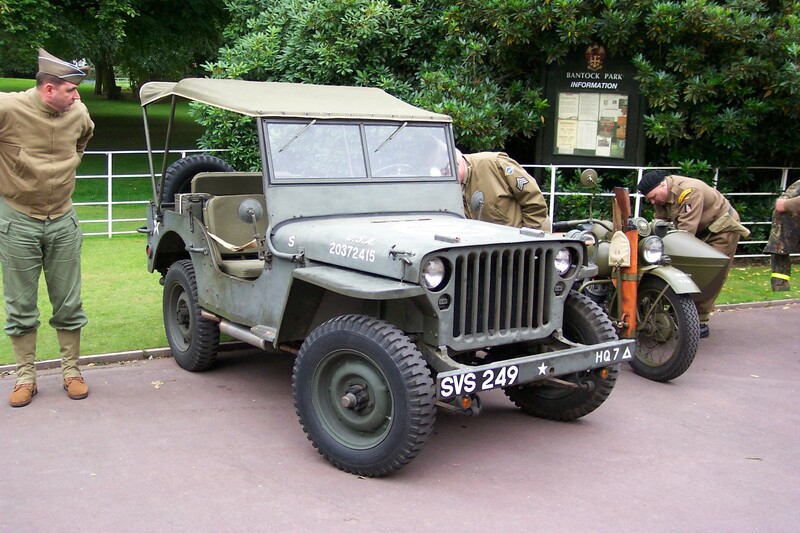 Also we chatted to Vince, who’d brought along his Willys MB Jeep for the first time and was enjoying the show. 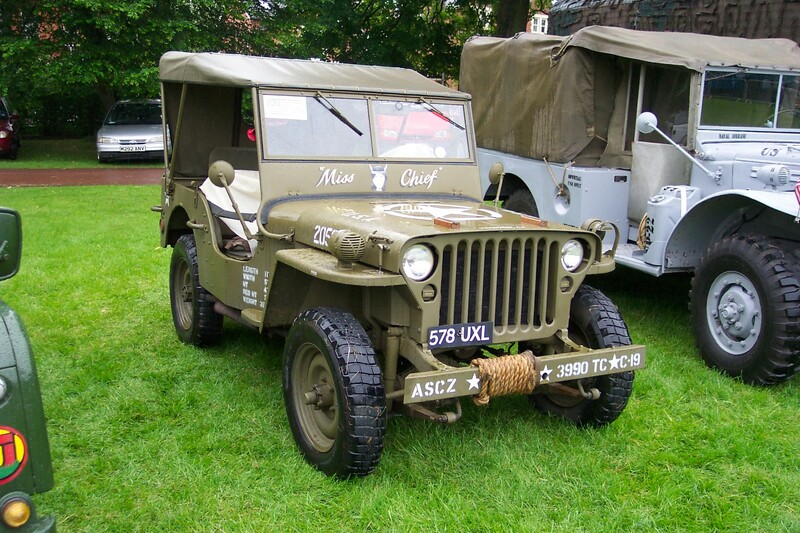 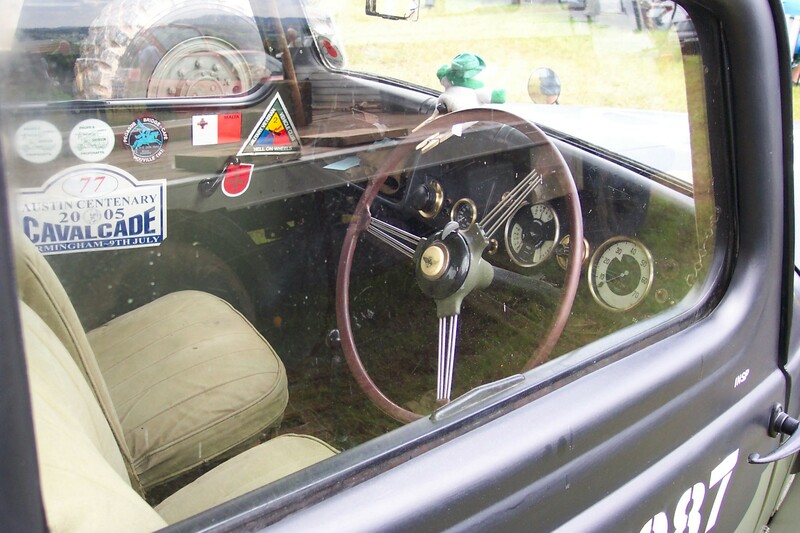 In nice condition, it was a genuine Willys that had been worked on by the French Army and had been upgraded to 24 volt, radial tyres and a dash starter button, rather than the usual will-it-won’t-it original 6 volt floor button. 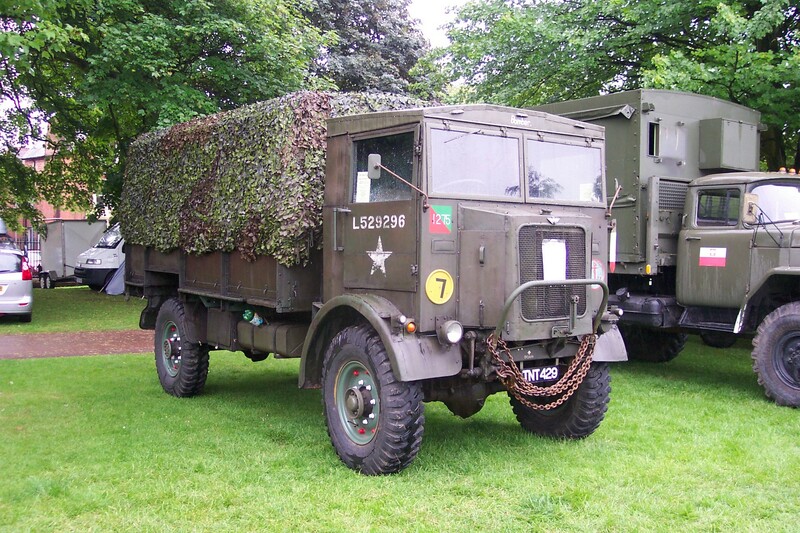 Vince was originally a long distance tanker lorry driver who went all over Europe. 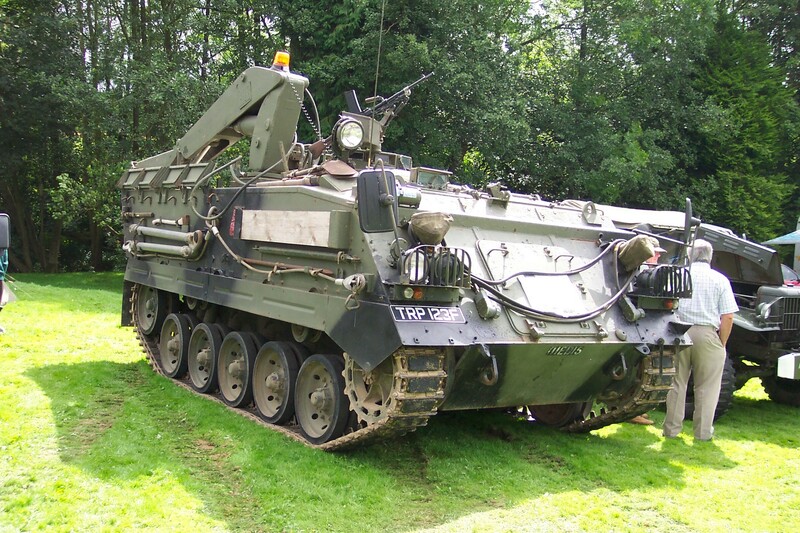 He asked me what did I think was the biggest challenge in driving a tanker ! 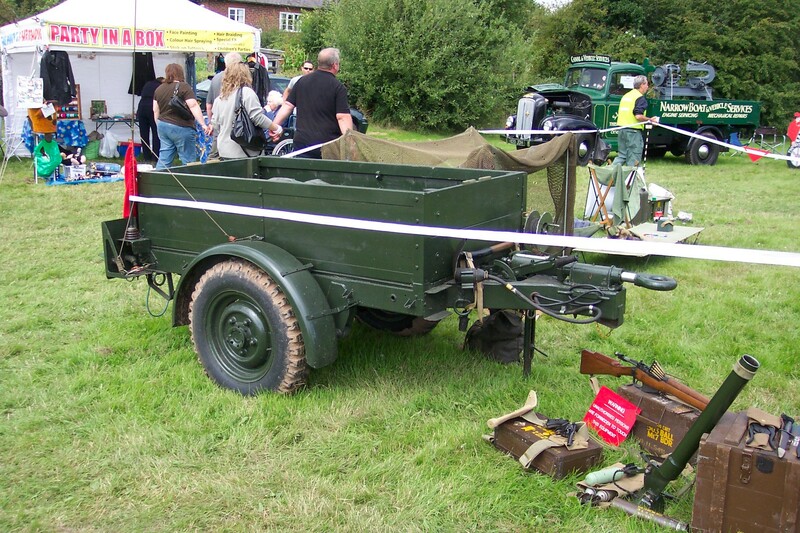 The weight ? 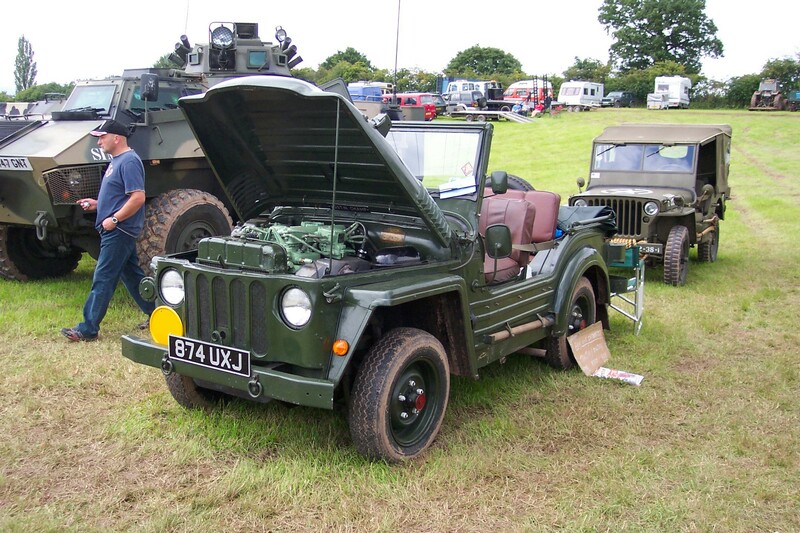 No.. the surge from the liquid in the tanks !!! 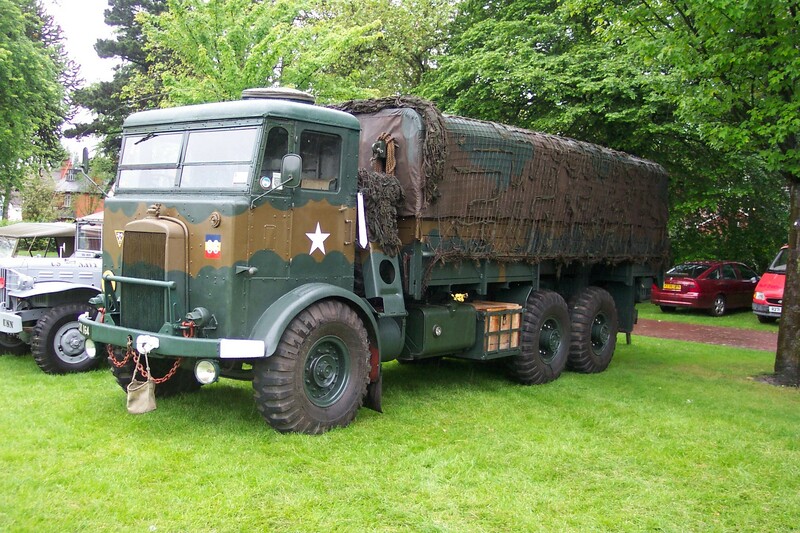 You could pull up sharply to a halt, and the surge of the liquid could push your lorry forward another 2 meters !!! 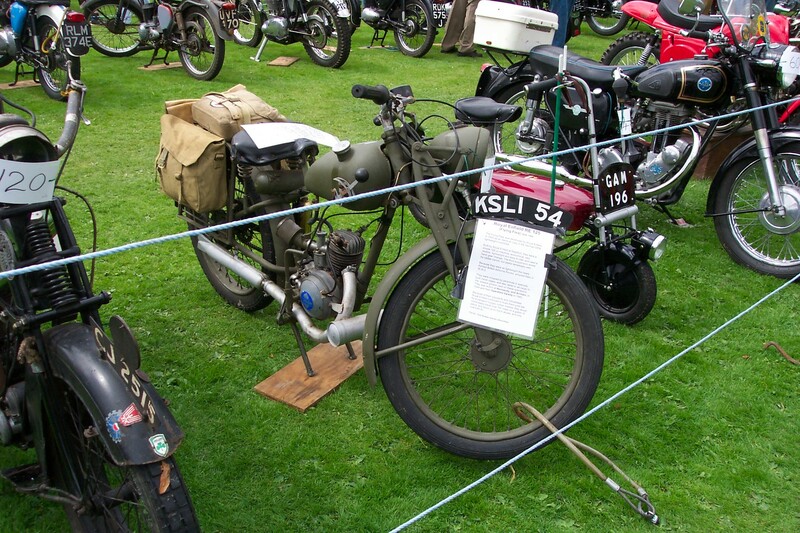 Finally had a nice chat to the guy who owned the James 125cc motorcyle, who even started it up and gave me, as a very novice motorcyclist, a demonstration of where the clutch is on a bike and how you stop it. 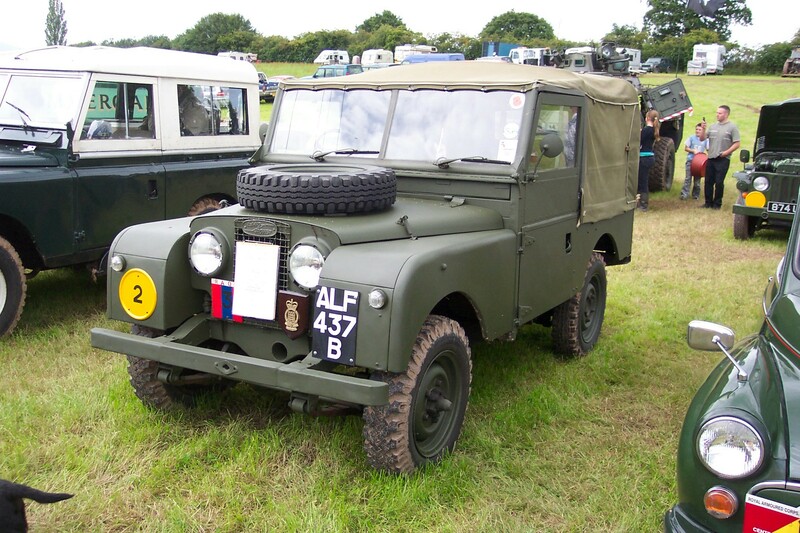 A lovely little machine and he even gave me some tips of how to tell the difference between a wartime and a postwar rebuild. 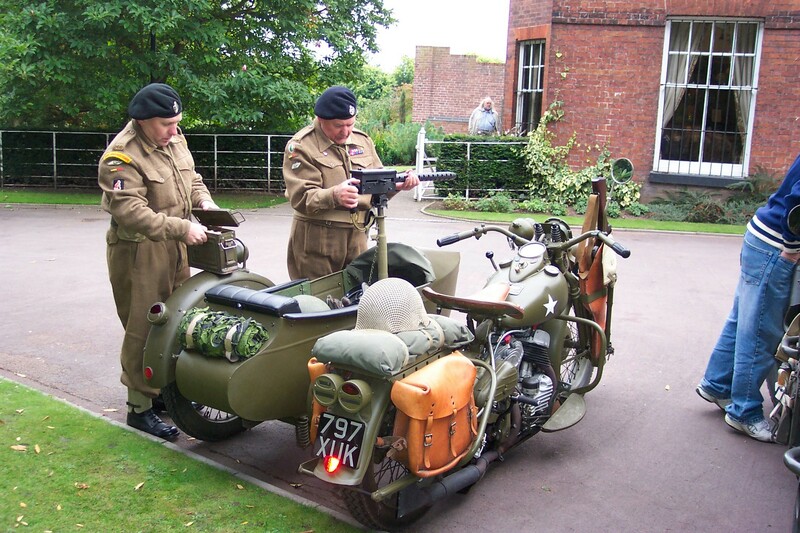 Apparently, James based in Birmingham, bought up all the ex-army James bikes they could after the war and converted them for the civilian market. 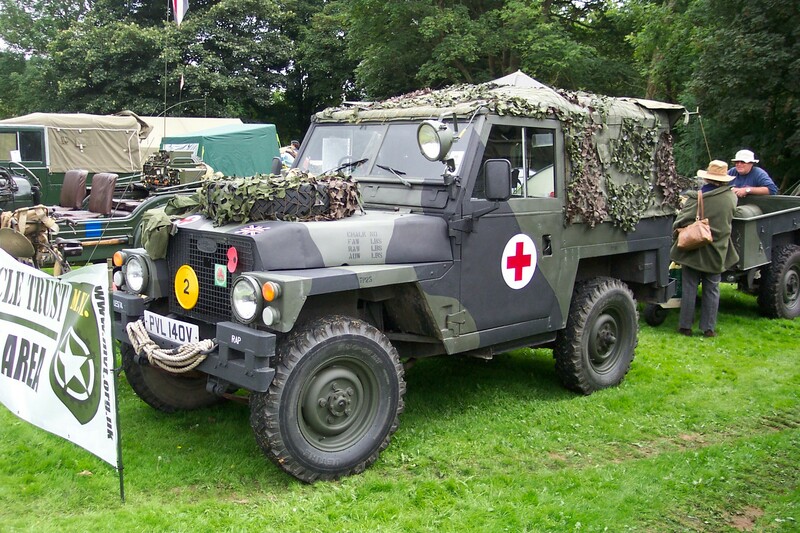 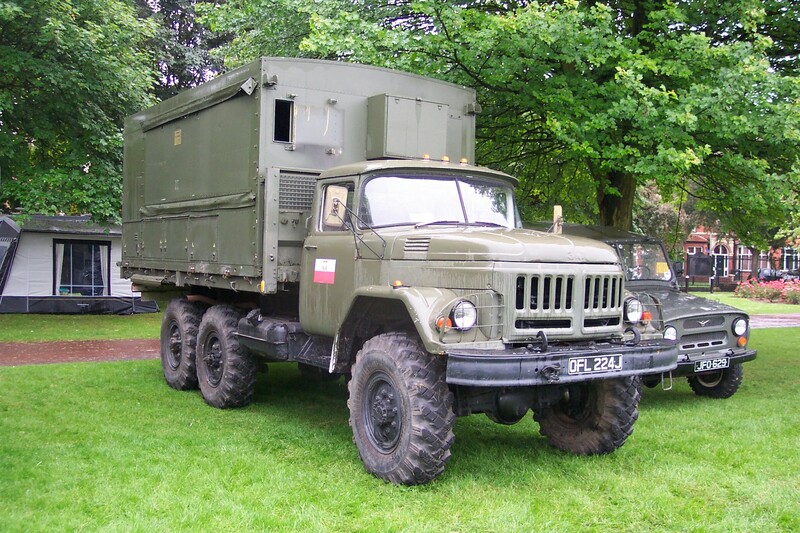 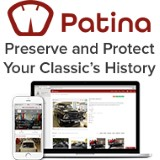 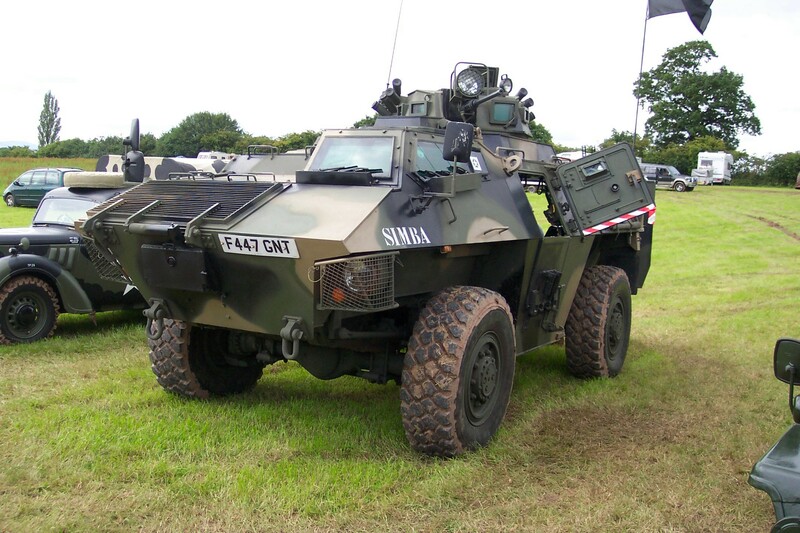 You are currently browsing the Military items | Military vehicles | Military trucks | Military Badge Collection weblog archives for the '2009' category.